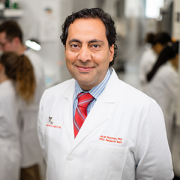 A Children’s National research team led by Javad Nazarian, Ph.D., M.S.C., tested whether circulating tumor DNA in patients’ blood and cerebrospinal fluid would provide an earlier warning that pediatric brainstem tumors were growing. 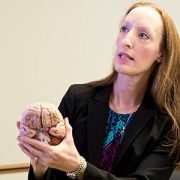 A highly aggressive pediatric brain cancer can be spotted earlier and reliably by the genetic fragments it leaves in biofluids, according to a study presented by Children’s National Health System researchers at the Society for Neuro-Oncology (SNO) 2017 Annual Meeting. The findings may open the door to non-surgical biopsies and a new way to tell if these tumors are responding to treatment. 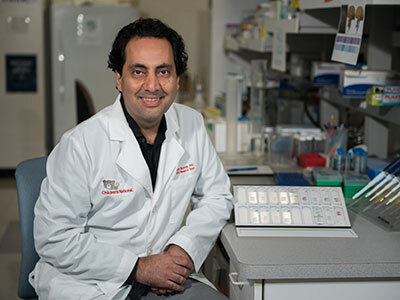 Children diagnosed with diffuse midline histone 3 K27M mutant (H3K27M) glioma face a poor prognosis with a median survival time of only nine months after the pediatric brainstem cancer is diagnosed. Right now, clinicians rely on magnetic resonance imaging (MRI) to gauge how tumors are growing, but MRI can miss very small changes in tumor size. 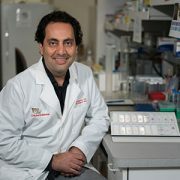 The Children’s research team led by Javad Nazarian, Ph.D., M.S.C., scientific director of Children’s Brain Tumor Institute, tested whether circulating tumor DNA in patients’ blood and cerebrospinal fluid would provide an earlier warning that tumors were growing. Just as a detective looks for fingerprints left at a scene, the new genetic analysis technique can detect telltale signs that tumors leave behind in body fluids. The researchers collected biofluid samples from 22 patients with diffuse intrinsic pontine glioma (DIPG) who were enrolled in a Phase I, Pacific Pediatric Neuro-Oncology Consortium clinical trial. Upfront and longitudinal plasma samples were collected with each MRI at various stages of disease progression. 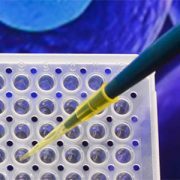 The team developed a liquid biopsy assay using a sensitive digital droplet polymerase chain reaction system that precisely counts individual DNA molecules. 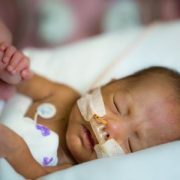 Support for this liquid biopsy study was provided by the V Foundation, Goldwin Foundation, Pediatric Brain Tumor Foundation, Smashing Walnuts Foundation, the Zickler Family Foundation, the Piedmont Community Foundation, the Musella Foundation, the Mathew Larson Foundation and Brain Tumor Foundation for Children.